Never miss a thing and find the right items fast with the all-new Zone Guide and improved Guild Trader UI. Learn about these big quality-of-life changes coming with the free Update 21 base-game patch. Tamriel is a big place, and ESO’s many zones are filled with lots of things to see and do. With Update 21 and the new Zone Guide tool, we’ve made it easier to discover everything Nirn has to offer. In addition to displaying your progress for all the different locations, activities, and unlocks in a zone, when viewing the Zone Guide from your Activity Finder, you can select the “Start Zone Story” button to be directed to the zone’s quest giver. If you have only completed half of the main quests in the zone, the button will state “Continue Zone Story” and allow you to continue right where you left off. Finally, after you’ve completed the zone’s questline, the button changes again to “Explore Zone”, placing new map indicators. 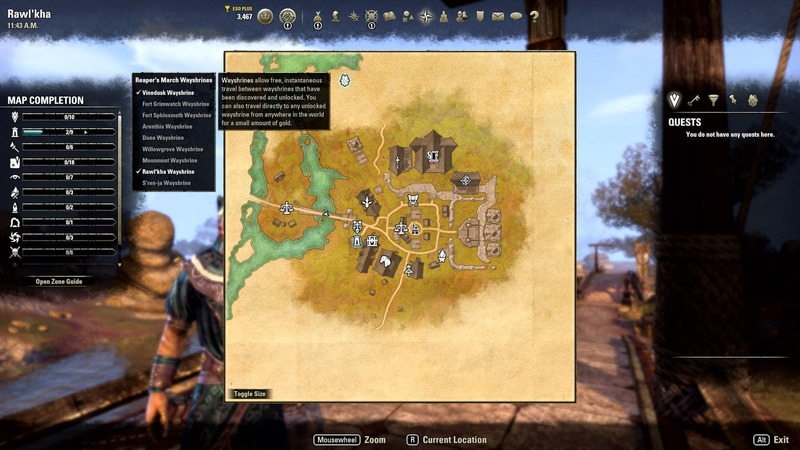 With the Zone Guide, you can discover almost everything a zone has to offer, ensuring you get the most out of your adventures across Tamriel. 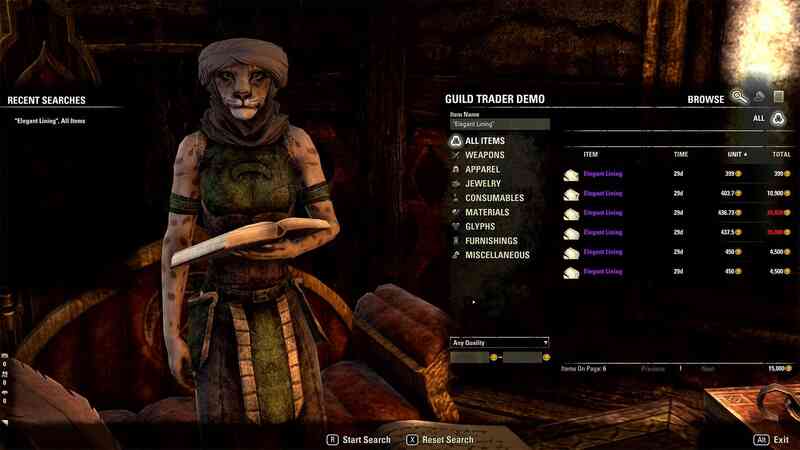 In addition to the Zone Guide, Update 21 also brings an overhaul to the Guild Trader UI, dramatically changing how you find and purchase items. Even if you can’t remember an item’s full name, the Guild Store UI will help you find what you’re after by making suggestions as you input your search. Even better, when searching for an item, you can still use all of the Guild Store filters, allowing you to filter out unwanted items for best results. The new UI also displays your recent searches, so you can quickly search different Guild Traders to find the best deal. In addition to this, the update also adds a price per unit display and sorting option for when you’re looking at stacks of items and need to make comparisons. Finally, Update 21 broadly updates Guild Trader categories so that they better reflect what the community looks for and trades. All of these additions and improvements result in a much better experience for Guild Traders, resulting in less time hunting for items and more time questing or exploring. 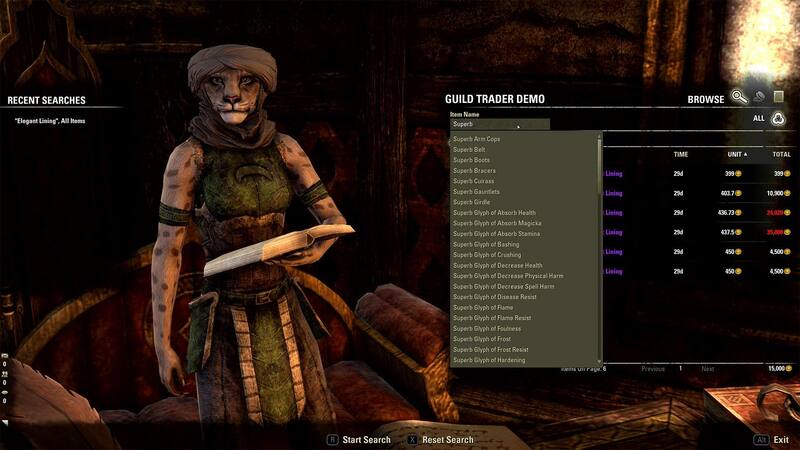 With the addition of the Zone Guide and overhaul to the Guild Trader UI, Update 21 brings major improvements to how you explore and trade in game. Let us know which part of the update you are most looking forward to on Twitter @TESOnline, Instagram, or Facebook. The Update 21 base-game patch is coming soon free for all ESO players. It will arrive alongside Wrathstone, a new DLC dungeon pack coming free for ESO Plus members and for purchase from the in-game Crown Store.